The auto-generated 2011 in Review post was from WordPress, talking about what my site did in 2011. My girlfriend moved in with me. Her dog also moved in with me. She switched from being my girlfriend to my fiancee. Happy New Year to you and yours, may your 2012 be as good as my 2011. 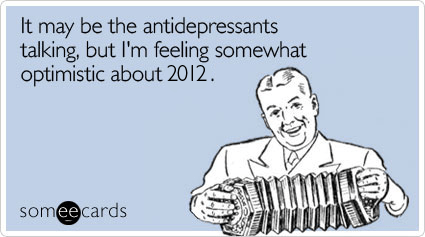 And may my 2012 be even better!